Ocean Drive is a platform at Council of European Canadians reserved for young writers, students from the Western world, and Eurocanadians, who are starting to realize that they are living in a cultural Marxist establishment dedicated to the creation of a multicultural and multiracial society presupposed on the devaluation of the historical role and ethnic identity of Eurocanadians and the enhancement of the role and identity of non-European residents and immigrants. Young Eurocanadians, and Europeans generally across the Western world, in their 20s and of all walks of life, are encouraged to write about their personal and intellectual recognition of themselves as members of a people with a unique heritage and identity; how they started noticing biases in the media, movies, at work and particularly in their universities and their professors; the double standards, the incessant celebration of diversity and the drive to internationalize the campus, and the way jobs are being handed over to foreign students, as well as the transformation of all universities in the West into the same dull "diversity" places. 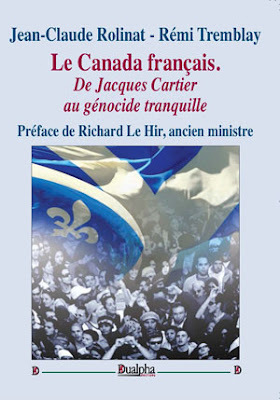 Young Eurocanadians and Europeans are encouraged to educate their friends, relatives and acquaintances about their history and cultural traditions, and, in this vein, to affirm this heritage, demonstrate what is wrong with the current officially established narrative, by writing about it and sending us their writings. The qualifications for the acceptance of articles to Ocean Drive are lower since we understand how difficult it is for young Europeans to overcome the veil of deception, distractions, and anti-European propaganda fed upon them since they were born. We welcome short essays, even statements, and longer research-oriented essays. We encourage you to use your study requirements at the university, that is, to use your readings and essay assignments as contributions for CEC, adapting them to our pro-European perspective. Are you tired of the conformist, politically correct atmosphere in your university or at your workplace? Are you tired of being expected to celebrate the cultures of aliens instead of valuing your own? This is your chance to take action and let your voice be heard.